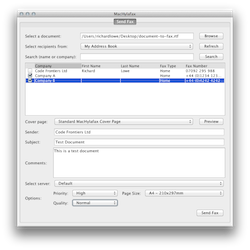 Sending faxes via a HylaFAX Server is a breeze with the MacHylafax fax client for OS X. 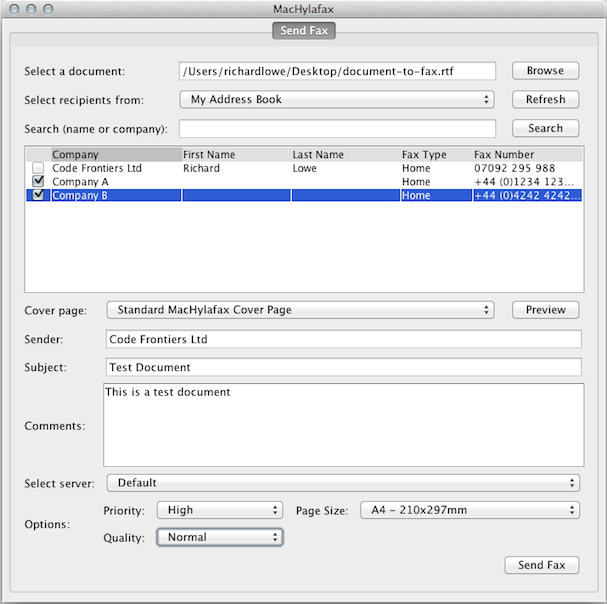 Simply click an address book entry, choose a cover sheet and your fax is sent. Try out the fully functional demo for yourself by clicking the download link, or read more about the features. Currently compatible with Mac OS X Tiger (10.4) through to OS X Yosemite (10.10).